Where They Create is a book that features the workspaces of creatives. This 312-page paperback is actually an extension of the website that goes by the same name. And this is the second book in the series. The first was released in 2011. 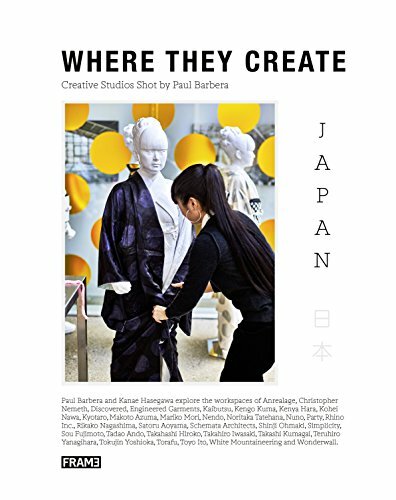 In this sequel, Paul Barbera features the workspaces of Japanese creators. There are graphic designers, architects, shoe maker, sculptors and others from the creative industry. The offices and workspaces featured are really beautiful and filled with life. Some of the photos are from the website, and there are some new ones here too. If you only want to check out the photos, you can just visit the website. If you want to know a bit more about the artists featured, there are interviews in the book. This is a wonderful book. It's quite inspiring to look at the workspaces of other creatives, to be infused by the creativity in the air and environment. I'm always interested to see where other people work.